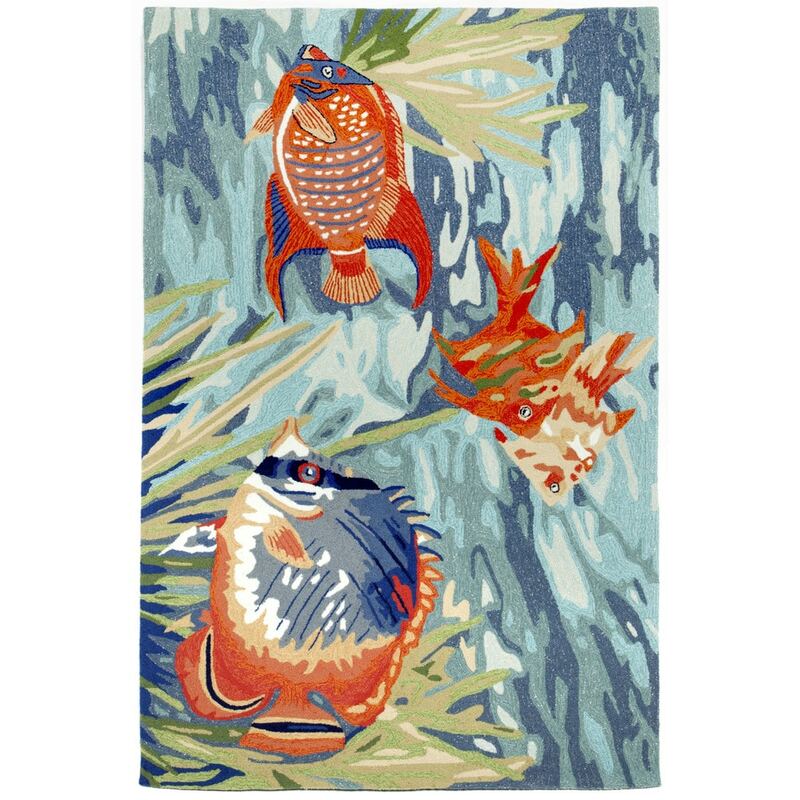 Maneck Ravella Collection 'Tropical Fish' Indoor/Outdoor Rug Tropical Fish - Ocean / 5'X7'6"
Tropical Fish - Ocean / 5'X7'6"
Intricately shaded yarns combined with the textural appeal of a tight loop construction create great visual appeal. These Tufted loop construction rugs are hand crafted in China of high quality synthetic materials. The synthetic material and loop construction makes these rugs soft underfoot, yet durable enough for any high traffic area of your home. Vacuum regularly. Do not use beater brush. If long ends appear do not pull. This is not a defect. It is a normal occurrence in hand tufted rugs and is easily remedied using scissors to trim the sprouted section even with the rug. Sponge spots clean. To clean full rug, gently rinse with a solution of mild detergent and water. Hose rug clean, lift off ground and allow to dry throughly. Reducing exposure to rain and moisture will prolong rug life. Use of a rug pad is recommended.